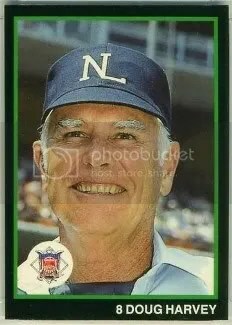 1988 T & M Sports Umpires is a 64-card set that is filled with nothing but umpires. You could definitely say that this product has a limited audience. 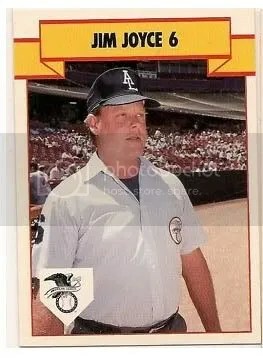 There aren’t too many collectors looking for cards of umpires, not unless they are in the HOF or participated in a special historical moment. I really don’t see this product making a comeback anytime soon. Probably the umpire that received the most attention last year was Jim Joyce. After he blew Armando Galarraga’s perfect game, it didn’t take long for collectors to voice their opinion on how the two should have a dual autograph made. Joyce does have one card. It comes from 1990 T & M.